1 gameplay | This Blog Rules | Why go elsewhere? 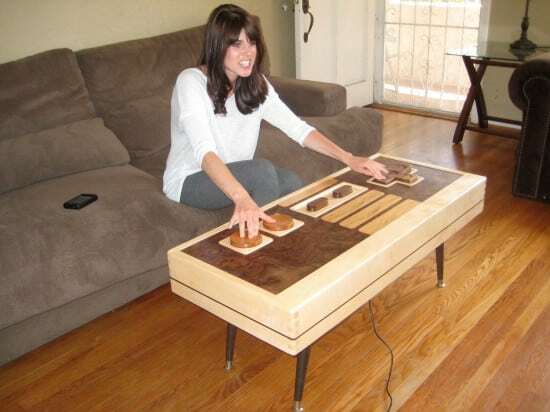 Here’s a must-have piece of living room furniture for all you pasty-faced gamers out there: a coffee table that doubles up as a fully-functional Nintendo NES controller! Thanks to Charles Lushear, the product’s designer, you no longer have to worry about being unable to rescue Zelda once your fingers become crooked from all that intricate, tiresome button-pushing: you can just switch to this gigantic controller and thump your fists or the palms of your hands against the oversized buttons, and voila, your perilous quest continues!